Patchy Work of Mini Grey: Alyssa's Quilt Finished. I finished the binding for Alyssa's quilt. Used some Kaffe. Sometimes you look at your beautiful fabric in the stash and think what special project am I saving this for? 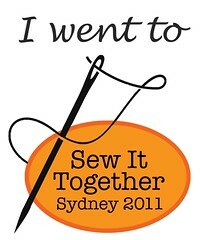 And then you realize the project you are sewing now is that special project. So you cut the beautiful fabric. I hope she likes it. I hope it makes her feel better. Good thoughts and wishes galore for Alyssa! You are very kind to make her this beautiful quilt with her class. 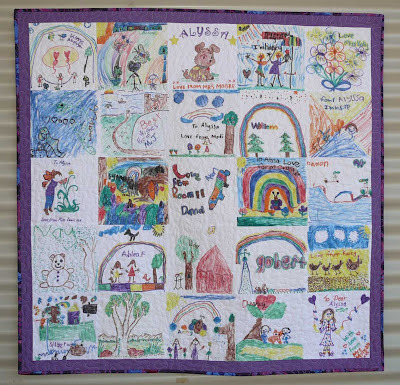 I love these kinds of quilts that involve the creativity and sweet wishes of children. Beautiful! this is lovely-both the quilt and the thoughtfulness and love stitched into it! I hope Alyssa will be well soon! 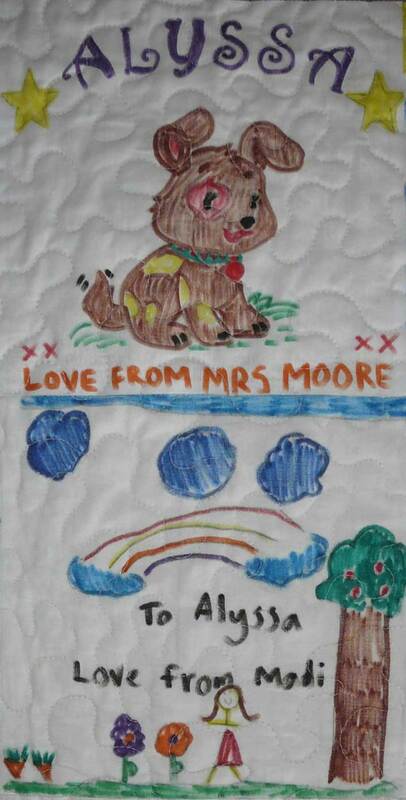 A truly special quilt. The kids have done great with their blocks. Hope it's a real joy and comfort to the little girl and her family.